Henry Suss and the Jewish Working Class of Manchester and Salford. interviews with Dave Chapple. This really is a remarkable book. Two among its many photographs sum up its story. One is Derby Street, Cheetham, early one morning in 2004; no cars, no people, patched road, once-busy Jewish raincoat factories now mostly import warehouses of more recent, Asian immigrants. 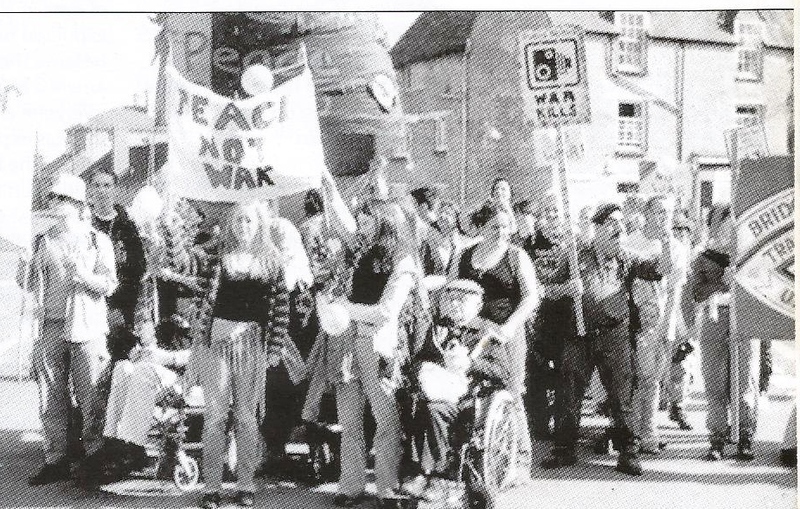 The second shows people assembling with the banners of Sedgemoor peace group and Bridgwater Trades Union Council, to demonstrate at Fairford airforce base. At the front, Helen, 19, from Mears Green farm, near Taunton, is pushing Henry Suss from Cheetham, now 90, in his wheelchair. Seeing poverty and injustice, Henry thrilled to hear speakers like Harry Pollitt, who seemed to know his world yet convinced him a better one could be built (even was being built) in this life. With their immigrant background and family links (many of his relatives were to perish in the Holocaust), Jewish workers like Henry could not confine their outlook to tne workplace or neighbourhood. Pals like Judd Coleman went to fight in Spain. Henry raised aid to Spain, even persuading his religious dad to contribute. There were also fascists nearer home, and Henry saw them throw a heckler from the balcony in the Free Trade Hall. He joined a left-wing theatre group performing anti-fascist plays. On a trip to London with his girlfriend he met Paul Robeson at the Unity Theatre, These are the ways the political loyalties of Henry Suss to the working class and the hope of a better worid for all were shaped, and he never left them. In 1964, despite disillusionment with Stalinism and hopes of Labour, Henry Suss, living in Swinton, an area with more miners and engineers than Jewish garment workers, was elected as a Communist councillor because of his work on local housing issues. Eventually, the old campaigner came off the miners' picket lines to find that, though he had not left the Party, it was leaving him. According to Marxism Today the class struggle was passe. Today, in a home for the blind at Burnham-on-Sea, Henry Suss is far from blind to past mistakes, and will not abandon his vision of a better future. 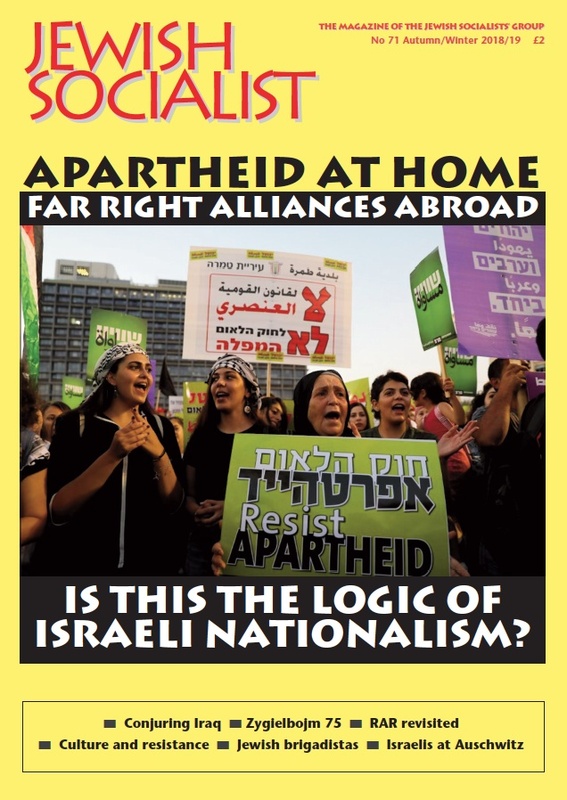 Dave Chapple, a Somerset postman and union activist of Welsh parentage, sharing neither religious background nor party affiliations with Henry Suss, asks him a long series of searching questions, producing a dialogue of great warmth and closeness between left-wing generations. Profusely illustrated with photographs, leaflets and cuttings from Henry's life, it is also rich in detail, humour and anecdote. Readers from Manchester and Salford will learn amazing new stuff about familiar old names. (I never knew my school pal Dave Askins' mum once clobbered Mosley with a brick in her handbag!) But you needn't know the area or people in Dave Chappie's book to acquire its respect and understanding for a previous generation. Whatever mistakes they made (don't we, too, albeit different ones? ), we owe them, and can learn from them.